Ok so I just spent 5 months of that Tetracycline stuff, I believe it's called. It didn't really change my skin at all until near the end of the course, when there was about 6 weeks where I was Acne free. That was good because alot of red spots had time to heal, and they did. I started to get the occasional zit everynow and then, and I've been drinking LOTS of water. My personal best is 11 bottles, and these bottles are 750ml each. You do the math. As for other history, now I've been on Doxycycline, Minamyson (I'm sure that spelling is wrong) Accutane, as well as every topical cream you can think of. I also tried Proactiv, and this other one called Clear and Simple, or something like that. As I type this now, I've got two new forming pimples, and 3 nasty scars from pimples I got last week. I saw my Dermatologist and he put me on a topical cream called Zorac, which I've been using for the past week and can't really see any difference. I tried the vinegar thing for about 5 weeks, and didn't see any change whatsoever. The reason this worries me, is because I'm really self concsious about my acne. My mum has mild acne and she's 51 years old. I really don't want to have it all my life. It kills me everytime I think about having to put up with this for the remainder of my existence. 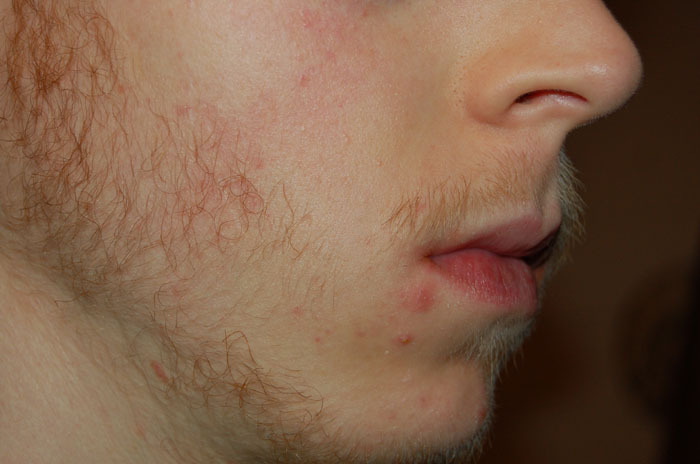 Initially, my acne was on my forehead and temple area, now I only get it around my chin and mouth. I don't get acne anywhere else at all. Do you think this is hormonal and that eventually, it will go away? Or am I going to be stuck with it for the rest of my life? Like my mum. It really worries me because I just got a new girlfriend, and it affects my self confidence. And I really like her and I don't want to lose her because I'm so timid due to the acne. And she has crystal clear skin, which makes me even more aware of my own condition. One final question. Does taking multivitamins help stop acne? The pills I mean. I've attached pictures. I should it looks much worse in brighter light. And would you classify my acne as mild? skin paid off. Just keep to your routine & have fun w/ your gf and life. 5000 spent on Acne products in your sig, wow man, for your extremely mild acne? I would do the Regimen man. I'd give the cream from your derm more time to work - no product is going to clear you up in just a week. It usually takes a couple of months to determine if a product is working. You asked about a multi-vitamin - as far as I know they do not help prevent acne. Actually, some of the multi-vitamins are very high in iodine - and iodine can cause acne flares. Taking a zinc suppliment may help though. 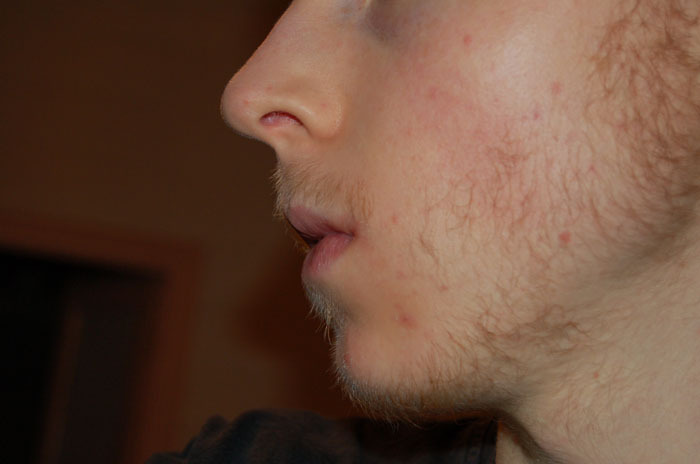 It looks like you only get a few inflammed spots around your chin/mouth? You might also try icing these spots (if you can get them while they are still developing, you have a better chance of getting rid of them). If you ice them for a few minutes, 2-3 times a day this can help inflammation and sometimes makes the spot shrink or go away faster. 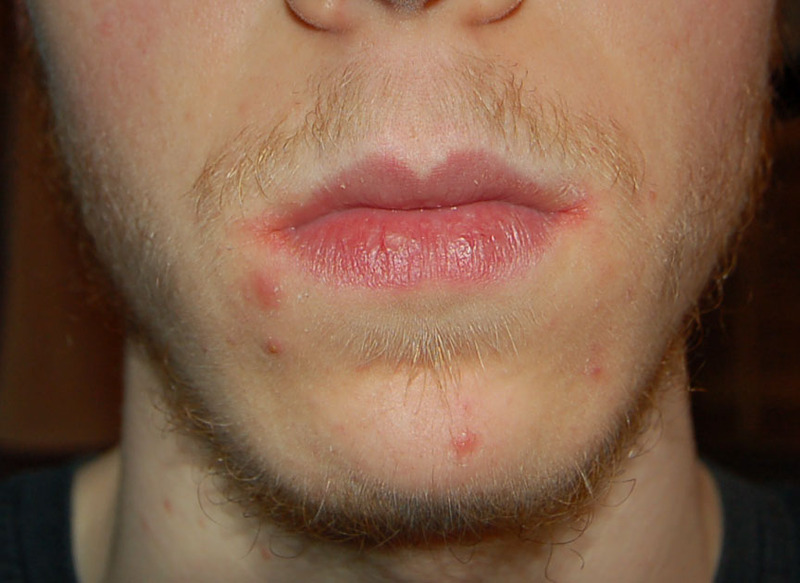 he said he's been on accutane, so his acne is probably not as bad now as it was before it right? That's correct. 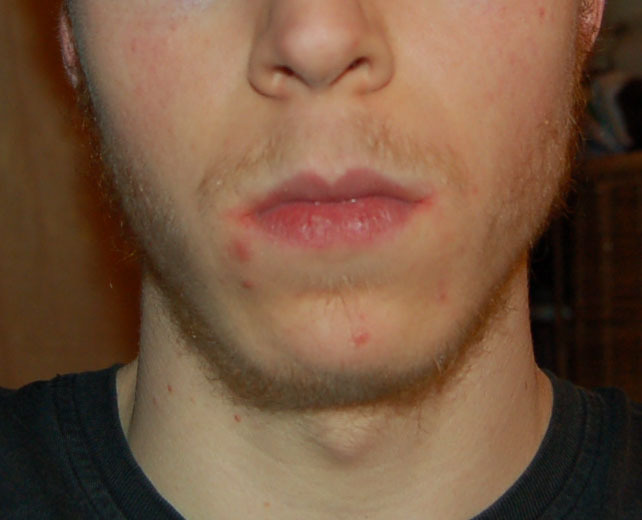 Before accutane my acne was much much worse. It wasn't so much the quantity, but I got the really painful ones. The ones that don't have heads and that just really make your face sore. It may be mild, but it worries me because it's the only thing in my life that I don't have control over, the only thing I can't dominate. And I don't like that. I want to stop it. I would go back on Accutane, simply for the fact that I know it works, and that it will stop the acne.